How do you switch a student from one section to another? They can visit codehs.com/switch_class and enter the new class code of the class they should join. 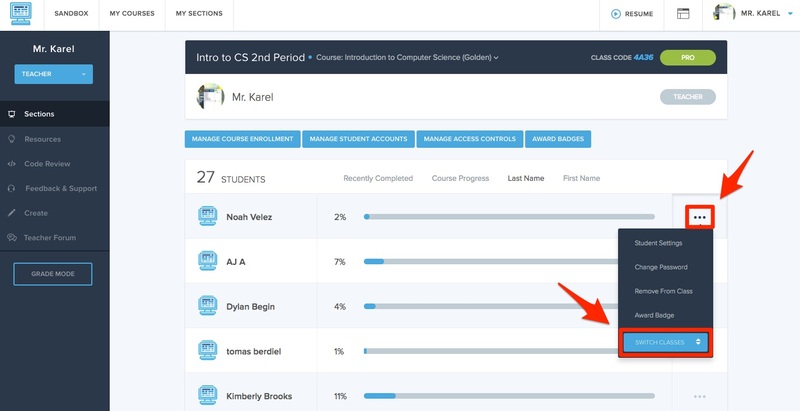 Their teacher can go to their class page and click on the "..." dropdown to the far right of the student's name. From that menu they will have the option to switch that student between their sections.